Following the United Nation’s (UN) Global Harmonisation System (GHS) of the classification and labelling of chemicals, pest control and other chemical products will undergo a number of changes to the labels that appear on the product packaging. In terms of timescales, all products leaving the manufacturer or marketing companies should now be labelled in accordance with the new CLP regulation – since 1 June 2015. However, distributors and users have until the 1 June 2017 to use up stock which still holds the old labelling. The CLP legislation incorporates all industrial and household chemicals, including all those products used within the pest control sector, such as rodenticides. “GHS introduces revised hazard symbols, signal words, hazard statements and precautionary statements, with the aim of creating a globally recognised system which will be universal across every country worldwide. “The updated labels do not reflect any change to the products themselves. The risk that products pose to pest controllers, the consumer or to the environment has not changed in any way; it is purely just the labels themselves that are being updated. “However, outside of these CLP changes, it is important to remember that as part of good practice you should always continue to review product labels, in order to keep abreast of any additional changes. 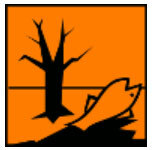 “Users of any chemical product will now see a selection of nine new hazard pictograms, depicted within a red diamond, which replace the original square symbols with the orange background. Many manufacturers will have been making the changes to their labelling in advance of June.